In the Department of Business, students work closely with faculty who have national and international expertise and connections in deaf leadership, business law, global business, information systems, international development and more. Programs reflect the most recent management and technological developments. Innovative courses and hands-on experiences prepare students to meet the needs of diverse types of organizations. The Department of Business offers three undergraduate degree programs. Our BS in Business Administration and BS in Accounting are both accredited by Accreditation Council for Business Schools and Programs (ACBSP), a leading specialized accreditation body for business education around the world. For quality assurance, the department is in the process of getting its new program, BS in Risk Management and Insurance, accredited in the coming years. 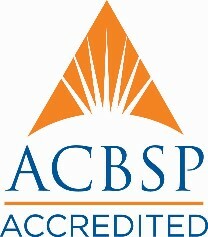 As a department with programs accredited by ACBSP, we are committed to continuous improvement that ensures our business programs will give students the skills employers want. The Department of Business provides a comprehensive business education and experience to undergraduate students. The department prepares students with the knowledge and skills to successfully pursue challenging careers, graduate studies and other post-graduate endeavors. The department has a strong commitment to bilingual education using American Sign Language (ASL) and English. The department emphasizes excellence in teaching, learning and assessment through the integrated use of technology, critical thinking and analysis, national and international perspectives, and practical hands-on learning opportunities both in and outside of the classroom.